Who says family travel can’t be fun and educational? Abraham Lincoln has some big shoes to fill! To young children, he must especially appear larger than life. 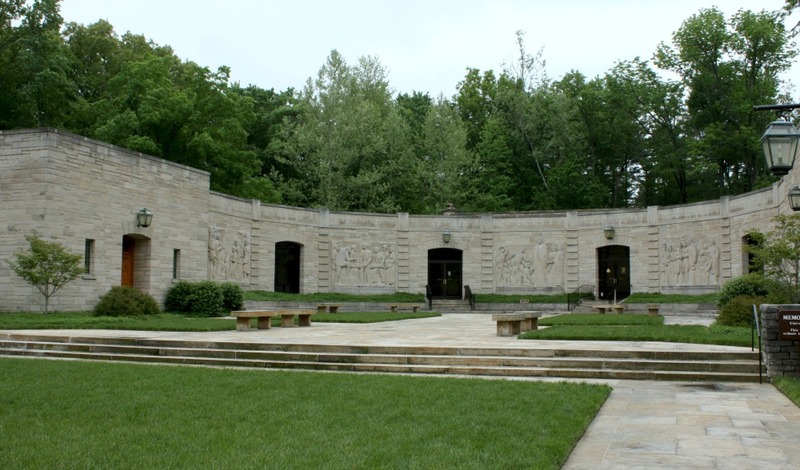 The Lincoln Boyhood National Memorial in Lincoln City, Indiana makes Lincoln more relatable to children by bringing his childhood to life. On a recent visit, my daughter was entranced as she learned that she actually has some things in common with Old Abe! Abe Lincoln has some big shoes to fill! To orient ourselves, we began our visit at the Visitor Center. The edifice of the building is covered with impressive stone carvings commemorating Lincoln’s life. In the Visitor Center, you will find an exhibit area, a theater and a gift store. Watching the video is the perfect way to acquaint your family with Lincoln’s childhood. Though narrated, the video features actors portraying different scenes from Lincoln’s childhood. The concept of seeing Lincoln as a child truly resonated with my daughter. From Lincoln’s move to Indiana from Kentucky to the loss of his mother to the books he read and games he played, my daughter was thoroughly interested in his life. 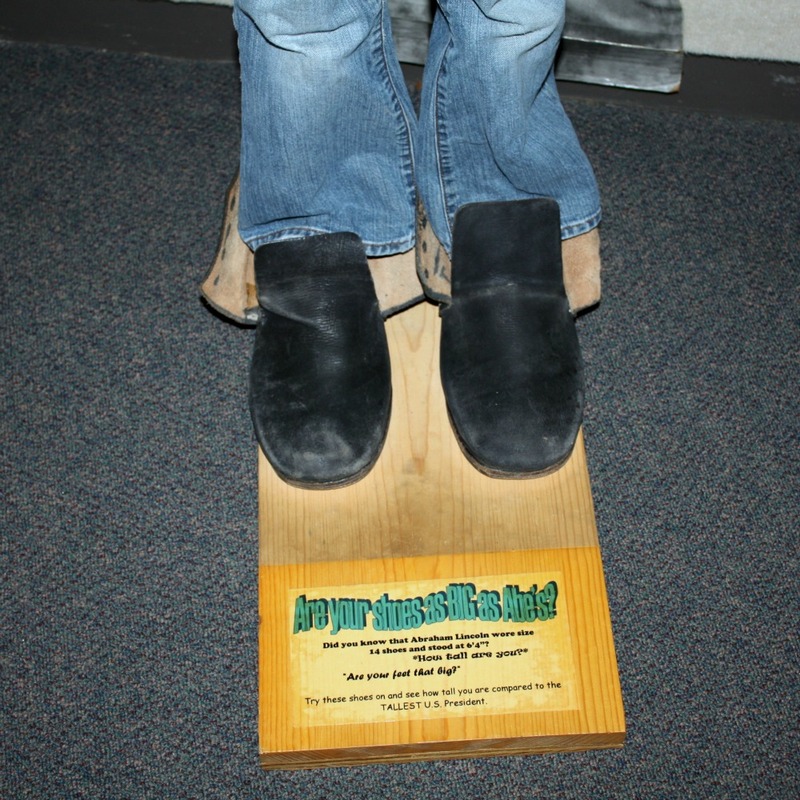 After the video, we encountered an exhibit where guests can try on Lincoln-sized shoes. How could a kid resist? My daughter gleefully hopped right into Lincoln’s shoes! Fun elements like this really help children connect. Next, we entered the exhibit room. The exhibit room is small with well spaced out artifacts relating to Lincoln’s boyhood. My daughter enjoyed making connections with the film. One part of the exhibit included a peek into Lincoln’s cabin. Fun! Lincoln walked through beautiful woods every day! We left the Visitor Center and embarked on our trek to Lincoln’s homestead site. The beautiful thing about the site–you can either walk to it from the Visitor Center or you can drive a little closer. The day we visited was overcast, so we opted to drive. After parking, we walked through the same woods Lincoln did as a boy to stand at his homestead site. Although, only the foundation and hearth of the original home remain, my daughter was impressed to stand where Lincoln once stood! Foundation of Lincoln’s boyhood home. Nearby, we found the living history farm. During certain days of the spring and summer, there are interpreters at the farm. While there were no interpreters when we visited, we were happy to find some farm animals enjoying the fresh air! It was fun to pretend that you were Lincoln on the farm! We discovered an outdoor checkers set begging to be played! I wonder if Lincoln used a similar set? Sneaking in a game of checkers at the farm. As part of the memorial, you can walk along the Trail of Twelve Stones. The Trail of Twelve Stones is a unique trail marked by stones from important places in Lincoln’s life. Stones come from Lincoln’s Kentucky birthplace, from New Salem, Illinois where he shared ownership of a store, from Gettysburg where he gave his famous address and more. My daughter bounded from stone to stone, trying to guess where they were from before reading the signs. A nice way to walk through Lincoln’s life! Just beyond the Trail of Twelve Stones, you will find the grave of Nancy Hanks, Lincoln’s mother. This little cemetery is easily avoided if you are not ready to bring the kids. After learning about Lincoln’s mother’s death, my daughter wanted to see the grave. It was touching to see her pay her respects in her own way. 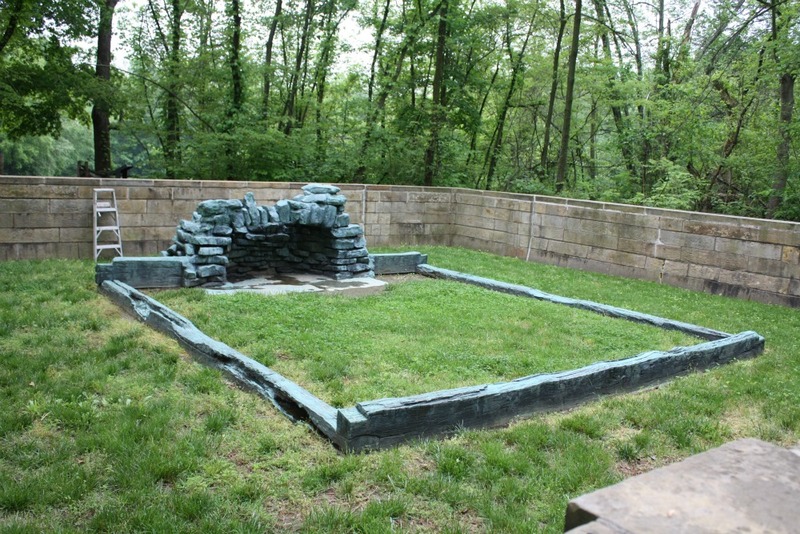 The Lincoln Boyhood National Memorial has a real tangible way to bring Lincoln to children. The site is easy to navigate and is not overwhelming. With picnic tables near the Visitor Center and the homestead site, you can make a day of it by bringing along a picnic. There also are restrooms at both locations–good to know when traveling with kids. If you go, remember to inquire in the Visitor Center about the interpreters’ schedule at the farm to avoid disappointment. The Visitor Center is open April 15-October 5, 2013 from 8:00AM-5:00PM. 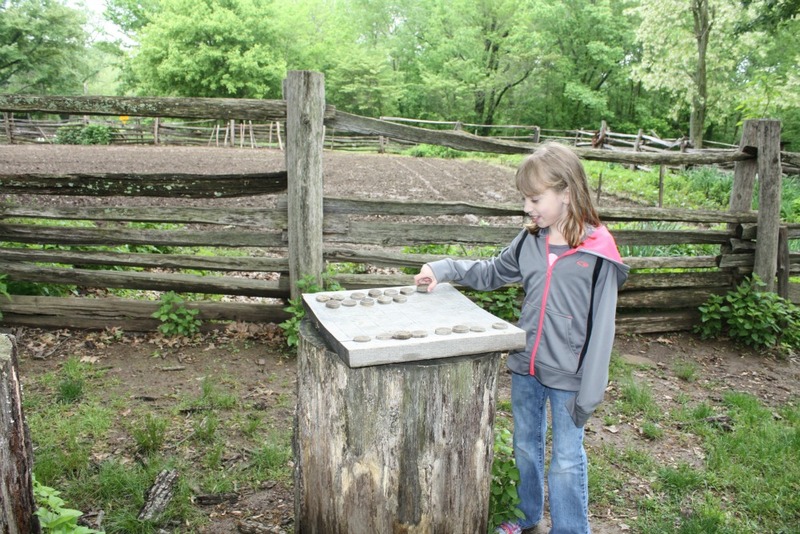 The Living Historical Farm is open May 25-early August 2013 from 8:00AM-5:00PM. The park itself is open every day from dawn to dusk except for December 25 and January 1. Admission costs $3 per person or $5 per family. You will receive a permit to put on your dashboard. The permit is good for one week after the date purchased. 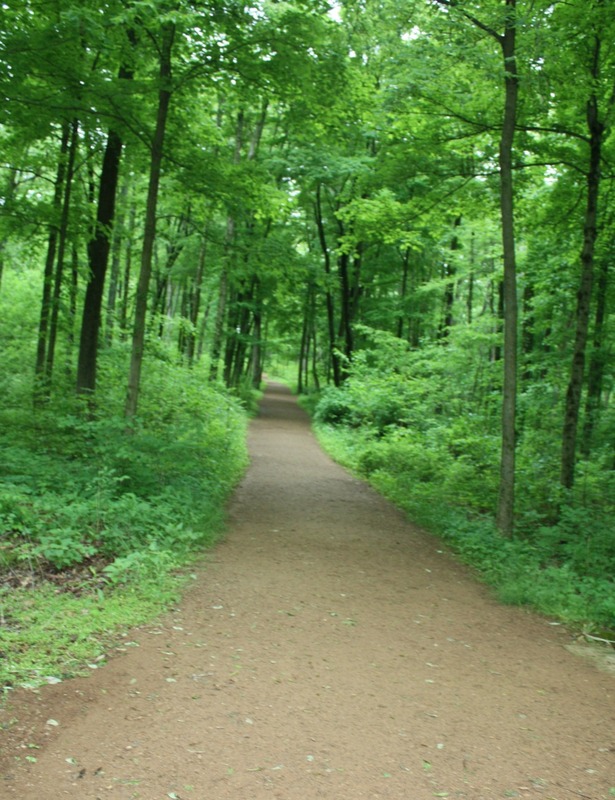 The park is located at Indiana Highway 162 in Lincoln City, Indiana. **Disclosure: Melissa received complimentary admission to Lincoln Boyhood National Memorial. All opinions are her own. Melissa Schwartz is an author at Two Moms, a Little Time, and a Keyboard, a local blog in the suburbs of Chicago. Always a wandering spirit, she is often accompanied on her journeys by her husband and daughter. She especially enjoys finding little known gems during her travels and uncovering them for future travelers. Melissa also contributes to social media for Norton's U.S.A., a General Store in Barrington, Illinois that only sells made in the U.S.A. products.